 University of Texas Board of Regents’ Rules, Series 90000 UT Regents' rules and regulations, including the rule for Intellectual Property as modified on August 2015. PI Book The PI Book contains the essential information that PIs need to navigate the UT research enterprise. Office of Industry Engagement Learn about past and present interactions between UT researchers and their industry sponsors. Office of Sponsored Projects Learn how faculty and researchers can secure and ensure proper stewardship of external funding. The Innovation Center The Innovation Center aims to accelerate impacts of faculty and student discoveries and inventions using startups as vehicles of innovation. Dell Medical School Learn about the Texas Health Catalyst program which provides customized guidance and seed funding for faculty-led translational research projects. Austin Technology Incubator Learn more about how the Austin Technology Incubator help startup companies transition into successful and high growth businesses. Texas Venture Labs Texas Venture Labs provides direct links to the entrepreneurial, business, technology and legal resources available at UT-Austin and the Texas entrepreneurial ecosystem. The IC² Institute The IC² Institute is an interdisciplinary research unit of The University of Texas at Austin which works to advance the theory and practice of entrepreneurial wealth creation. United States Patent and Trademark Office Search for issued U.S. patents and published patent applications. World Intellectual Property Organization World Intellectual Property Organization is the global forum for intellectual property services, policy, information and cooperation. Small Business Innovation Research (SBIR/STTR) Learn about Small Business Innovation Research and Small Business Technology Transfer programs.